Next, a report from Challenger, Gray & Christmas showed that 31,105 corporate layoffs were announced in America last month. 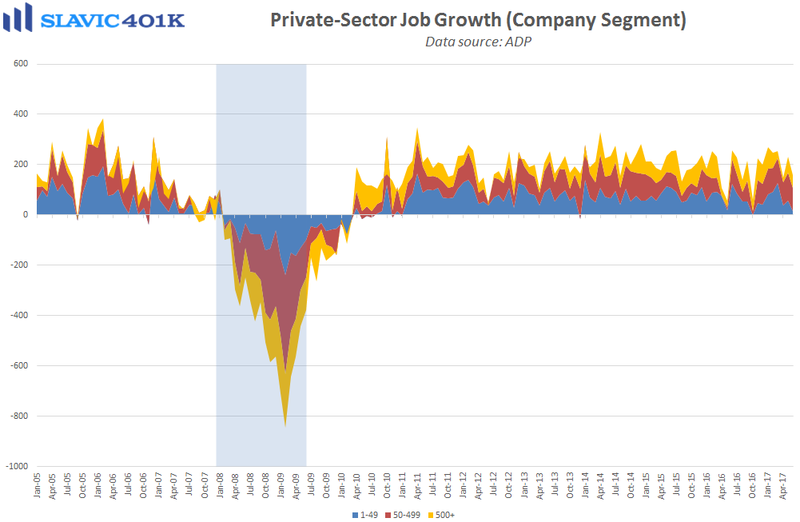 That is a 6 percent decline from May and 19 percent lower compared to this same period last year. 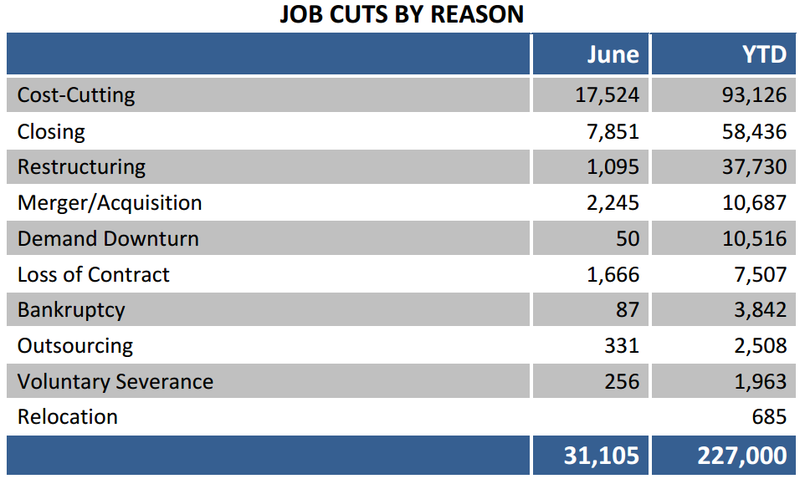 Through the first six months of 2017, employers announced 227,000 planned job cuts, down 28 percent from the first half of 2016. John A. 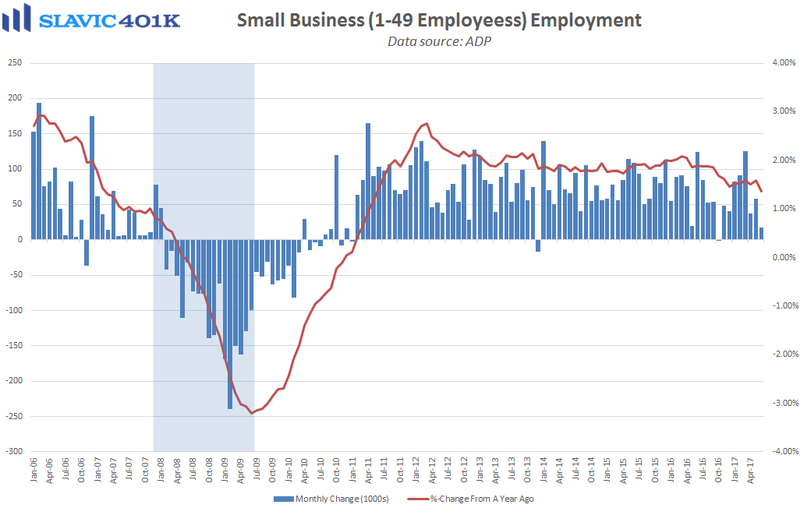 Challenger, chief executive officer of Challenger, Gray & Christmas, attributed the relatively modest pace of layoff announcements to the tight labor market, and added that “companies are also waiting to see how proposed regulations from the Trump administration may impact business going forward.” There are still job cuts occurring, though, and the retail sector is leading the way with 60,127 announced layoffs so far in 2017. That is up 42 percent compared to the first half of 2016 and the highest H1 total since 2009. The continued weakness in the retail space is due largely to the rising number of brick-and-mortar shops that are closing in response to increased competition from online merchants (Amazon). 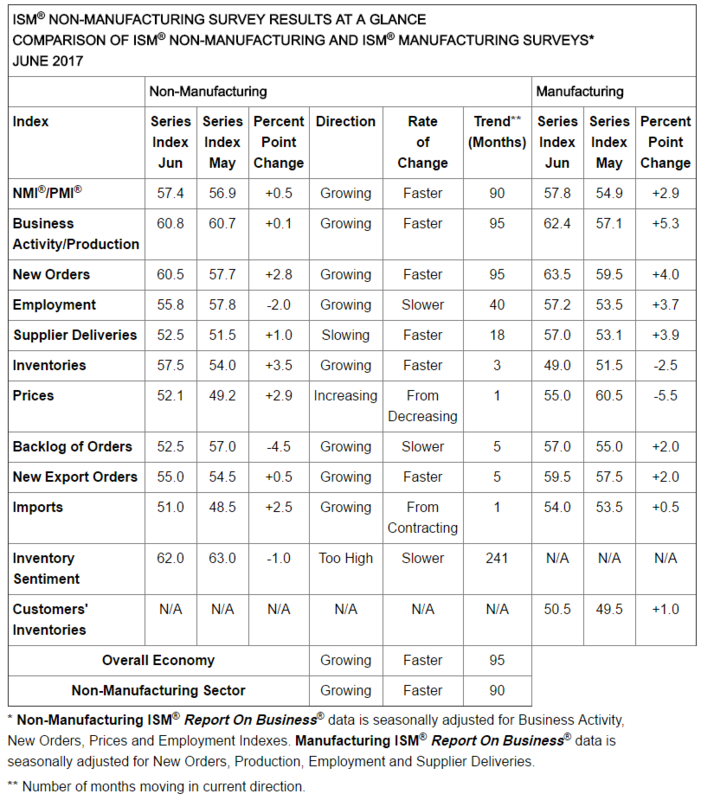 Elsewhere, the purchasing managers' index (PMI) from IHS Markit for the U.S. services sector, which accounts for a much larger share of the overall economy than manufacturing, ended June at 54.2. 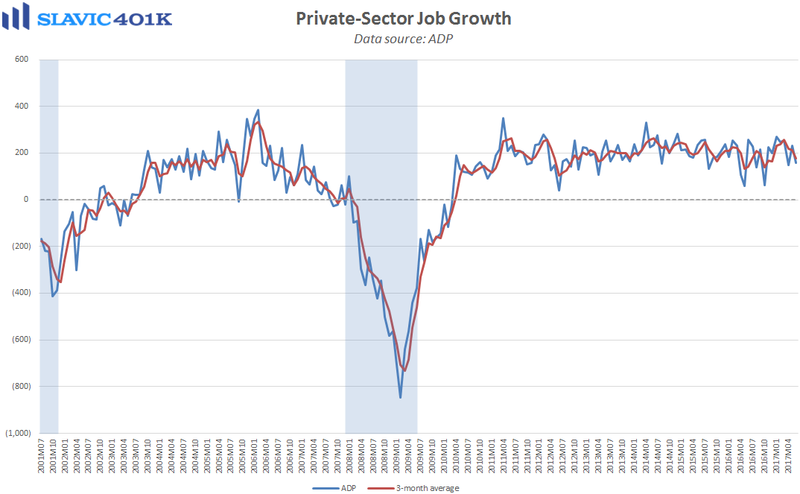 That was the third monthly improvement in a row, better than economists had anticipated, and the highest headline reading since January. Under the hood, the pace of new orders growth rose to a 5-month high, which surveyed managers attributed to stronger demand from new and existing clients. One clear negative in the report was input prices climbing at the fastest rate in two years. Many respondents cited higher raw material and staffing costs as the driver of recent input price inflation. 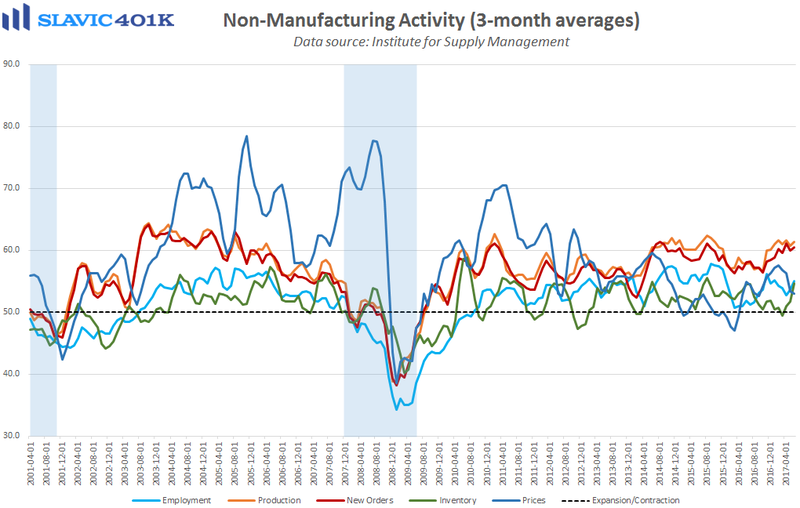 Similarly, the Institute for Supply Management’s (ISM’s) non-manufacturing index, also released this morning, rose to 57.4 in June, better than expected. 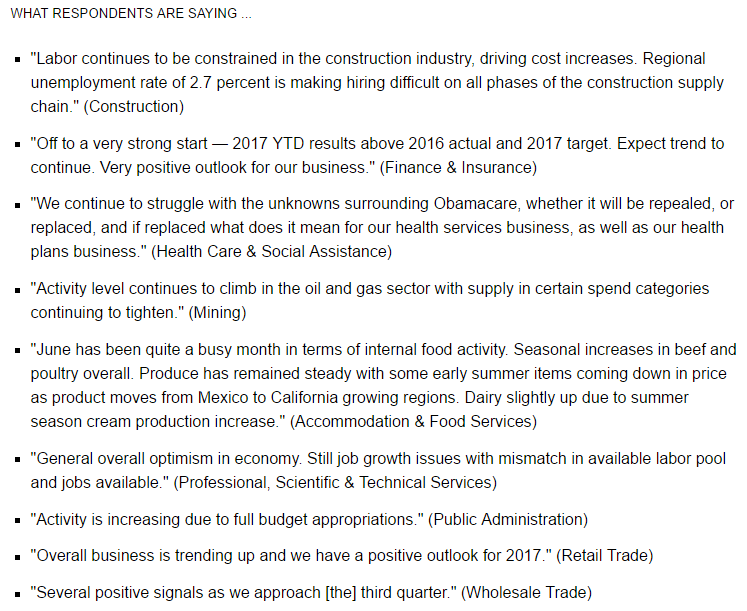 Measures of production and new orders improved last month, and comments from surveyed managers were generally positive.